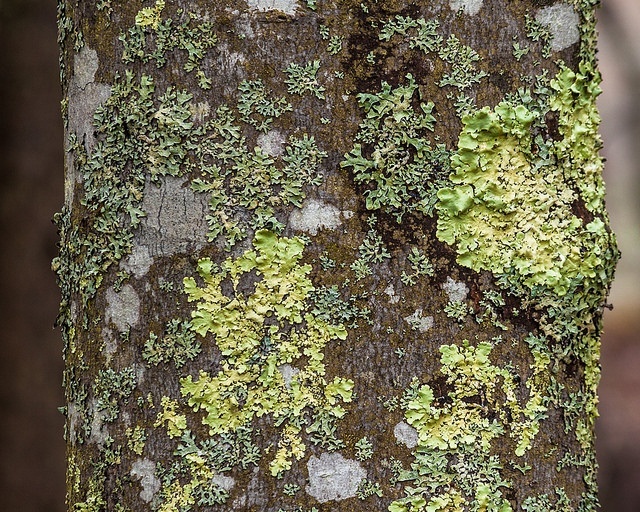 Tree fungus is something that so many homeowners overlook, probably because it isn’t in their homes. However, tree specialists all over are afraid of all tree fungi that you can name. 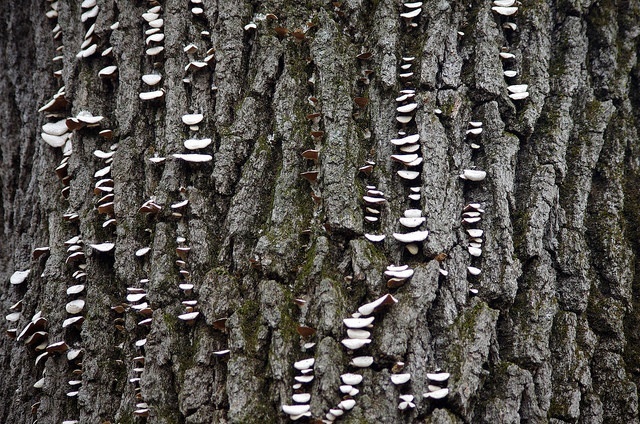 Especially in our neck of the woods, tree fungus can render your tree ugly, sick, and extremely dangerous. Eventually, a tree with fungus will become weak and more susceptible to other problems like infestations, diseases, and storms. Fungi can stop the spread of water and nutrients to the tree itself, making every part of it unhealthy. 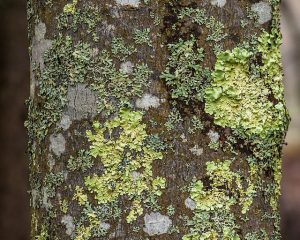 According to years of study from Michigan State University, softening of the bark isn’t always a fungus, but it could be a sign of fungus. Either way, it is always a sign that something is going wrong with your trees. Instead of using your eyes to just look at your trees, you have to use your fingertips to feel the bark of the tree. You don’t have to do this often, just once or twice a season or when you think that something is wrong. Some barks are softer than others, so you will have to learn what your trees should feel like. When searching for soft spots, start at the bottom of the trees near the root systems, where soft spots are more likely to form. Please be gentle, as you can do more damage if you push through the spots. If your tree has a fungus problem, there is a good chance that the fungus started from within a wound. Wounds are easy to form, coming from “broken branches; impacts, abrasions, and scrapes; animal damage; insect attack; fire; etc. Wounds usually break the bark and damage the food and water conducting tissues,” according to AgriLife. Still, once they heal, many people don’t expect to have any problems. Wounds are dark and hold in moisture, so you might find fungus growing out of the wound or on the wound. It may be harder to identify the types of fungi that develop on your trees, especially in deep wounds. 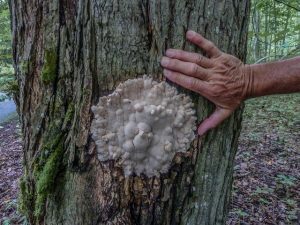 Still, it is important to reach out for professional help because the fungus may have already attached itself to the infrastructure of your tree. Once again, be gentle if you touch the fungi in the wounds of the trees because this area can be quite soft. Just because you can remove spots doesn’t mean that they are gone. Many people will pick spots off of their bark, wipe spots off of fruit, or their leaves and think that they have solved the problems. You have not. Instead, you are covering up the problem and making it harder to diagnose and treat. The size, color, and location of the splotches or spots are all equally important, according to the University of Minnesota. Don’t overlook something because it doesn’t really seem like a big deal. It can be. Start looking on the bark and the lower branches first and then work your way up. The most common problems will start low because that’s how fungus attacks your tree and how it comes into contact with it. Once again, this all comes down to how well you know your trees and know what spots are normal and what spots are not. Finally, mushrooms can be one of the worst signs that you have a tree fungi problem. According to Home Guides, mushrooms are often seen as the angels of death for trees – but they aren’t always regarded as that. If the mushrooms aren’t associated with a tree fungi, they are fine. Mushrooms can appear almost anywhere on your tree, but first check along the base of the tree, on the roots, and even on the ground under the spread of the tree. 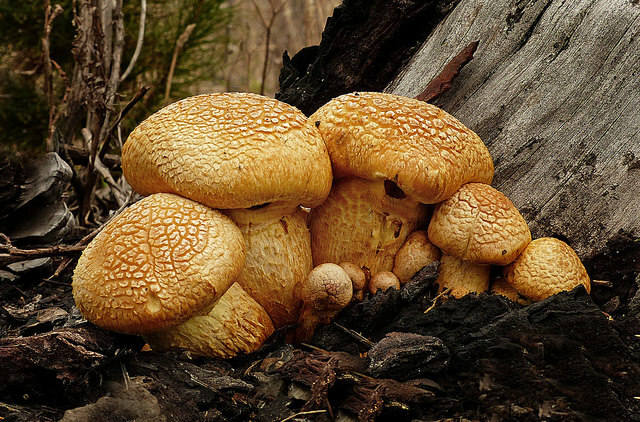 Note that what starts as one mushroom can become an entire crop of mushrooms in just a few days. The sooner you can get professional help, the better. Do not pick off the mushrooms or move them if you are looking for professional help, as this will help to treat the problem. 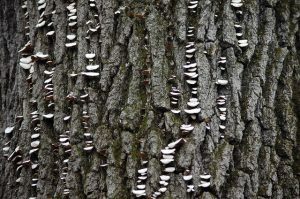 If you even suspect that you have fungus on your tree, you need to contact a professional as soon as you can. You cannot ignore fungi because it just gets worse and won’t go away on its own. It is always better to be safe than to be sorry when it comes to your tree care. 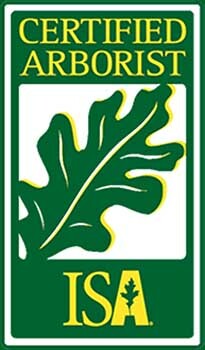 Most tree care professionals can help you to clean up your fungus quickly and will save your tree from elimination. In fact, treatment from a professional an add years to a tree’s life. At Columbia Tree Work, our goal will always be to keep your yard and home safe and your trees healthy. If this does mean eliminating a tree, we can help you there. Still, our main goal is to work with the natural chemistry of your home so that you can naturally eliminate any pests or problems. Contact us at your earliest convenience so that we can get started. It will make everything easier. Reach us at: (573) 881-2144. Header Photo Courtesy of Steve Bittinger on Flickr!